Jim Cline is president of the Denton County Transportation Authority (DCTA), Denton County’s primary transportation agency, headquartered in Lewisville, Texas. He joined the agency on March 1, 2010. Cline is well-known throughout the North Texas region having served as a Director for the City of Irving since 1998. In this capacity, he oversaw the city’s water utilities, solid waste, transportation, engineering and streets functions. 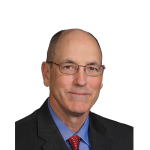 A registered Professional Engineer in the state of Texas, Jim Cline has been heavily involved in the implementation of Dallas Area Rapid Transit’s Orange Line including resolution of key design, construction, right-of-way and funding issues. Cline also worked closely with the Trinity Railway Express and the Federal Railroad Administration on crossing related issues within the City of Irving. He represented the city in various regional capacities including serving on the board of the Upper Trinity Regional Water District and the Surface Transportation Technical Committee. Prior to joining the City of Irving, Cline spent three years with Kimley Horn and Associates and more than 20 years at the Cities of Beaumont and Irving, TX where he gained experience in municipal public works and transportation. Cline received his Bachelor of Science in Civil Engineering in 1984 and a Master of Science in Civil Engineering in 1986, both from Texas A&M University. He resides in Denton County with his wife Nancy Cline.